Come adopt a wonderful loving cat. 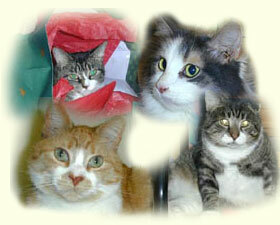 All cats tested, vaccinated and altered and medical records are provided with each adoption. Gifts for pets and people available to benefit the Animal Umbrella Street Cats Shelter. Please stop by! Thank You.